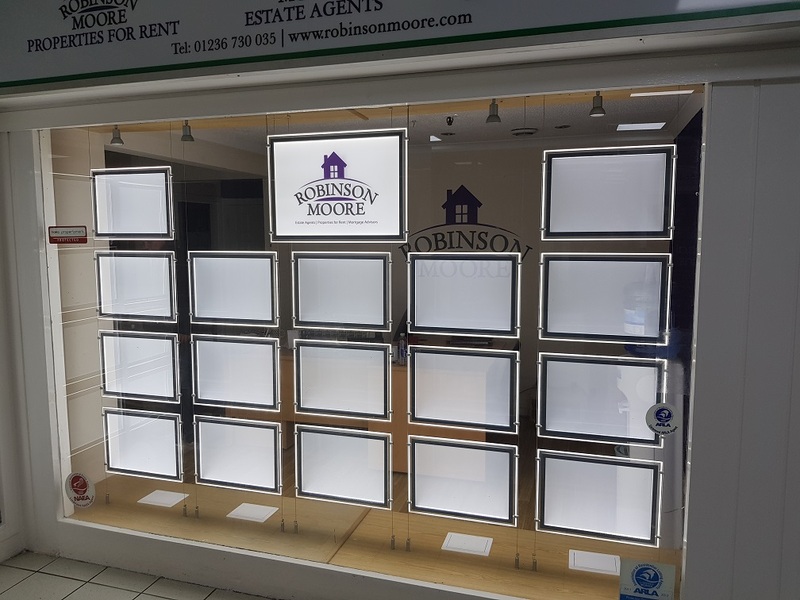 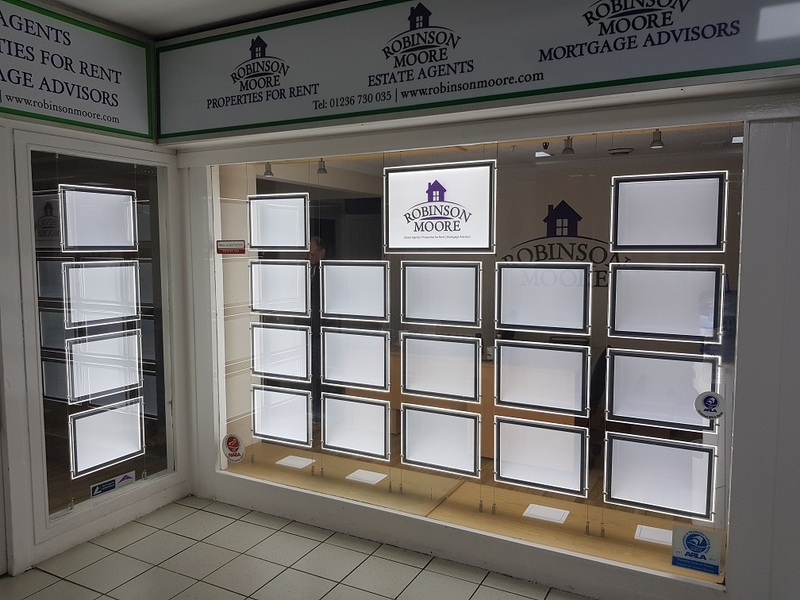 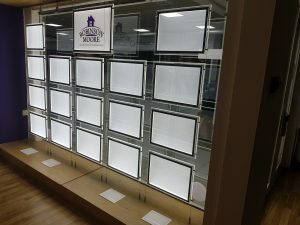 Our customer asked us to supply and install their new window displays after taking our advice to take a more minimalist approach to the window content. 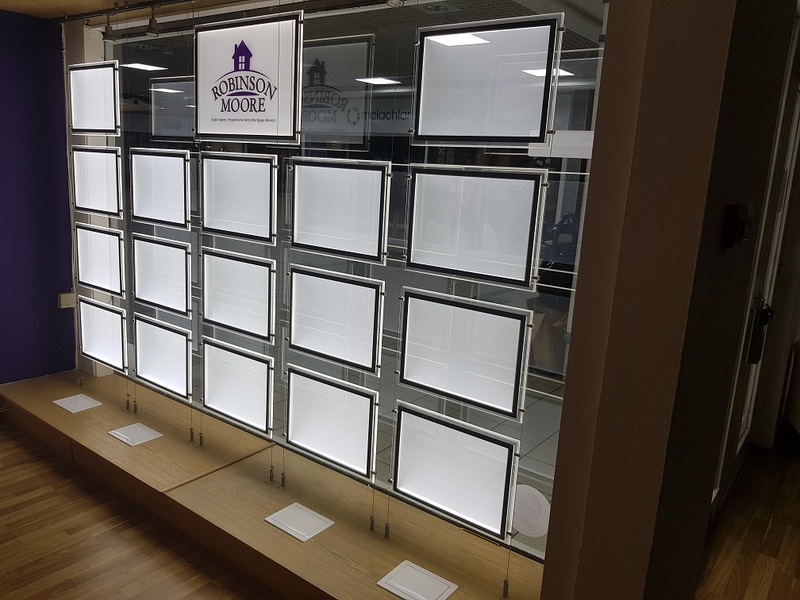 In order to conceal the transformers, power cables and other electrical components, we cut access holes into the window bed, and fitted discreet, attractive access panels to allow easy maintenance and access for the electrics for the future. We also supplied an A2 light pocket suspended from the ceiling, in order to illuminate the customer’s logo, effectively creating an illuminated floating logo sign in the window. 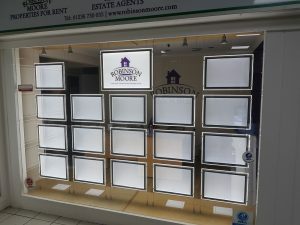 We’re delighted for yet another very happy customer.